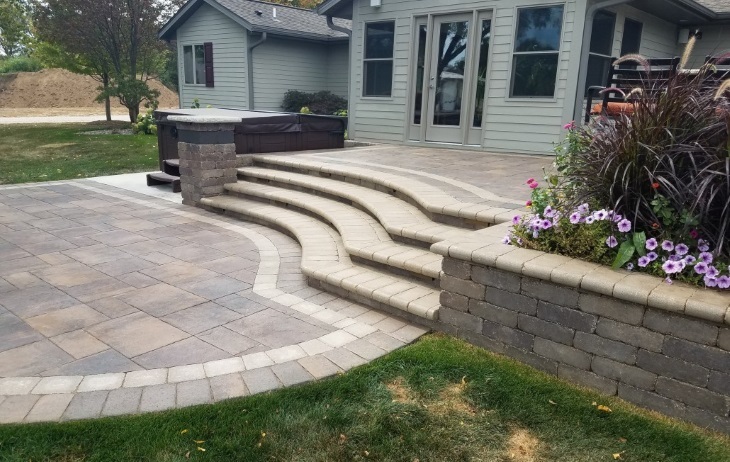 If you’re looking for a Hardscape Company in Burlington, Wisconsin; you’ve come to the right place. Koch Kuts is the premier choice for hardscape design & construction services in SE Wisconsin. We provide custom hardscape solutions for residential and commercial projects – and we’re always happy to take on new clients. We maintain a high level of integrity and dedication on every job, small or large. Choose Koch Kuts for hardscaping services that make the most of your time and money. We’re happy to answer any questions you have or to get started on an estimate for your hardscape needs. We can handle custom hardscape designs and installation of all sizes. Our hardscape services are often centered on brick laying (pavers), natural stone, or concrete work. We excel in custom patio design and installation! 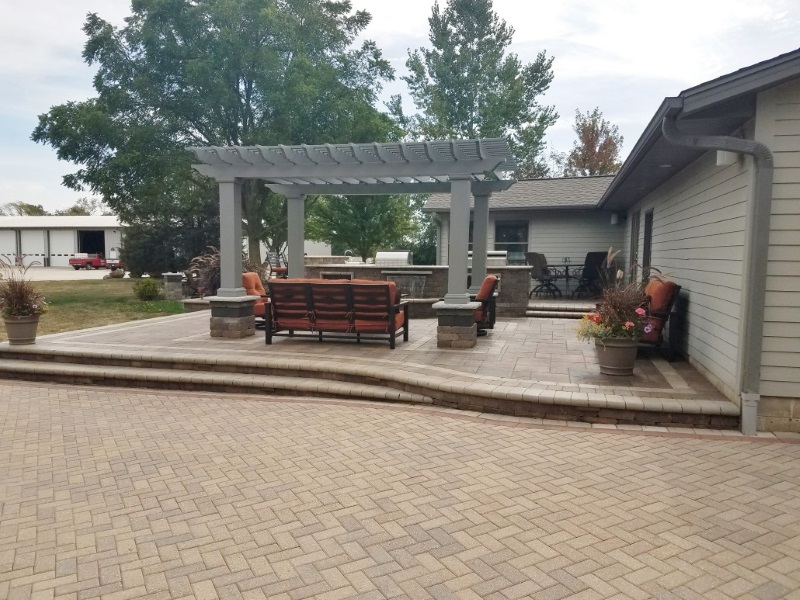 Our Burlington, WI Hardscape Contractors set a higher bar for quality when it comes to patio installation and repair. 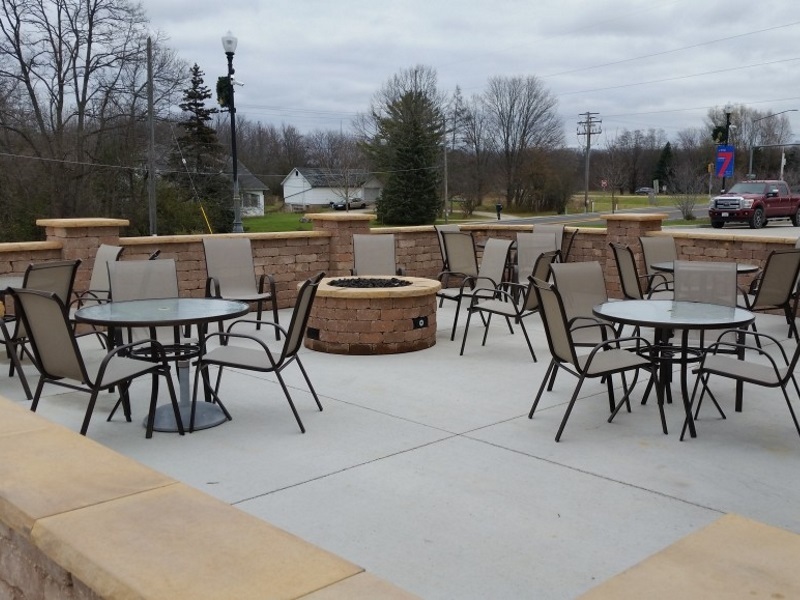 Concrete patios are most popular among our commercial clientele. Homeowners often prefer brick pavers or natural stone for their patios. We’ll design a patio that looks great, last long, and meets your exact specifications. Our patio designs often include hardscape elements like fire pits, steps, walls, and much more. Let’s discuss your patio options and then get an estimate started. 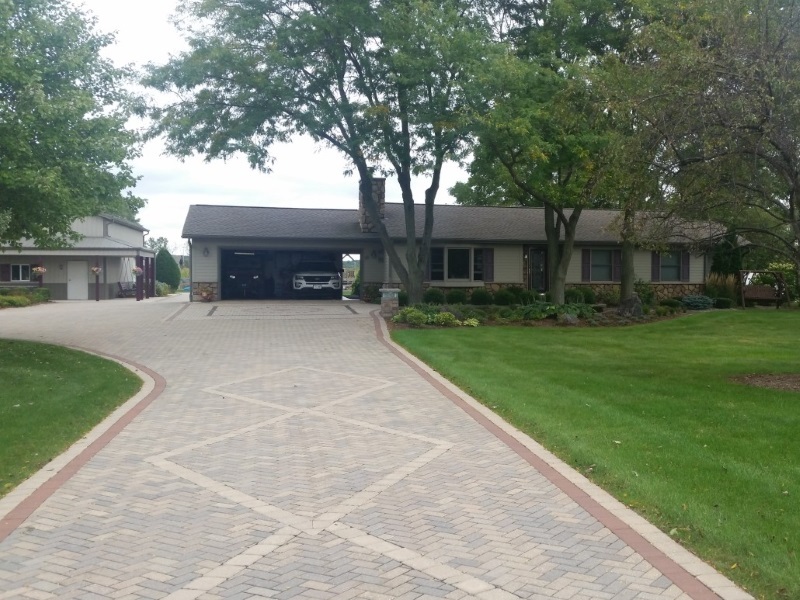 Driveways are quickly becoming a popular hardscape solution; and it’s really no surprise. Brick pavers are an effective solution to water retention problems. What’s more, brick driveways are incredibly attractive and custom designs make them unique too. If you’re not sure pavers are the right choice for you driveway, we’d be happy to walk you through the benefits of brick pavers. Our bricklayers are meticulous planners and work diligently to ensure your new driveway is easy to maintain and has a long life. Koch Kuts stands apart when it comes to retaining wall installation. We have vast experience designing retaining walls for commercial and residential properties. Retaining walls are a popular choice to prevent and resolve landscape erosion. If you’ve got a hillside on your property and want to use more of the landscape, retaining walls are an optimal solution. Take your patio design to the next level with a fire pit or outdoor fireplace. Outdoor living spaces in Wisconsin especially benefit when a heat source is the centerpiece of their design. You can enjoy your patio year round. Let’s discuss your hardscape options in the way of fireplaces and fire pits. Add seating to your custom hardscape. Seat walls offer many benefits. They can be easily incorporated into any patio design. Seating walls also maximize patio space and add convenience. Our hardscape contractors will design the perfect wall seats for your home – contact us! 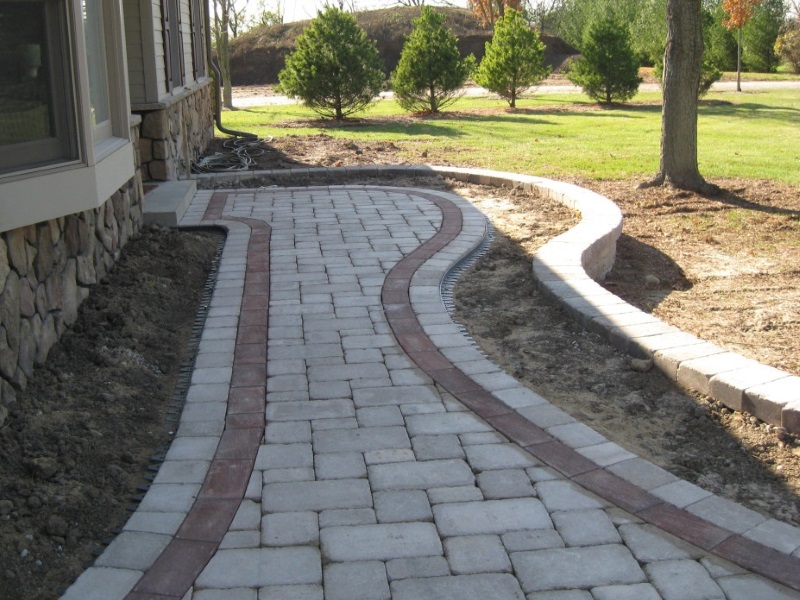 We install brick walkways, stone pathways, and concrete sidewalks. A hardscape walkway can enhance many areas of your property. 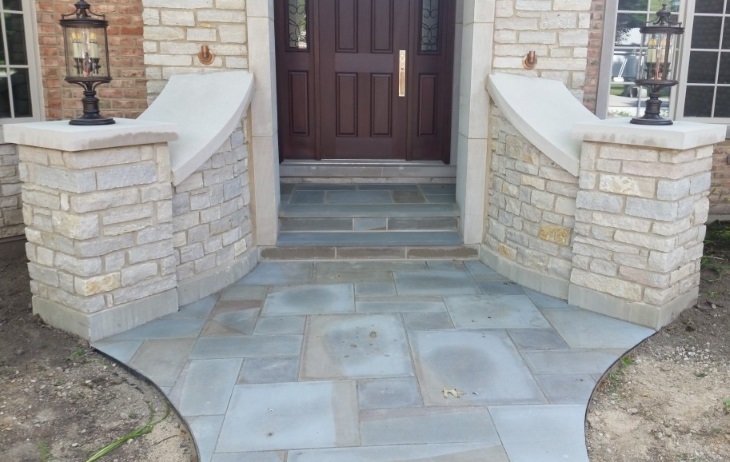 We can install a walkway from your driveway to your front door, a path around the side of your house, or a stone pathway through a garden or to a distant seating area. Koch Kuts is the right choice for pool hardscapes. We offer modern hardscape solutions for around inground pools. Retaining walls are an often necessary hardscape around pools. 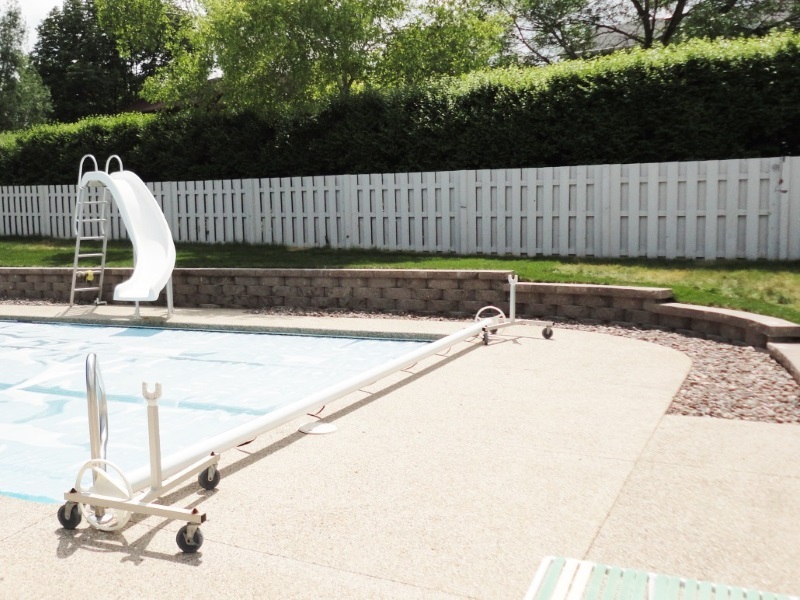 However, your pool can be the centerpiece of an incredible patio or outdoor living space. Shoreline restoration is an effective erosion control solution. It will also increase the value of your lakefront property. Our professionals will design the perfect shoreline installation to combat problems like erosion, runoff, and build-up on the shore of a lake, river, or pond. Need to replace an existing shoreline solution – we’ve got you covered! Burlington, Waterford, Muskego, Wind Lake, Mukwonago, Elkhorn, Lake Geneva, Twin Lakes, Paddock Lake, Kenosha, Racine, and more. Looking to build a luxury outdoor living space? Our Hardscape Company can help! 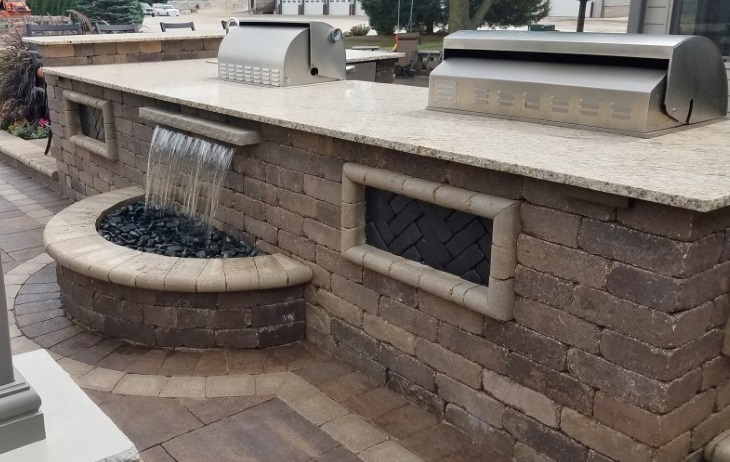 We’re pros when it comes to designing and installing patios, walls, outdoor kitchens, water features, and so much more. We’ll make sure the landscape surrounding your outdoor living area is pristine too. Contact our Burlington Hardscape Professionals for a quote!